How many ocean creatures can you name? We’re betting that sharks and whales will be on your list. But what about corals – did you know that they’re living animals too? 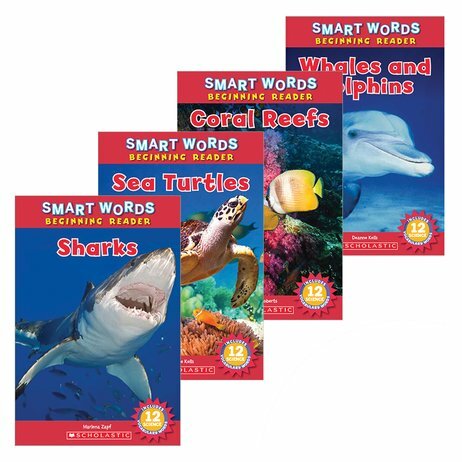 In these colourful readers, you’ll learn fun facts about different ocean creatures. (No, they’re not all fish!) Plus, you’ll learn words to talk about each one. A great way to boost your knowledge, build your skills and make the most of your next aquarium trip.